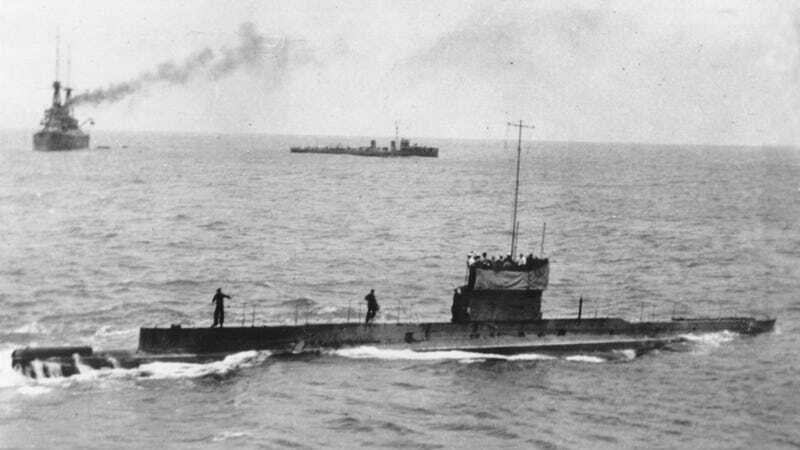 Just six weeks into the First World War, Australian submarine HMAS AE1 disappeared without a trace somewhere off the coast of New Guinea, marking the first time an allied sub had been lost in the conflict. Marine archaeologists have now discovered the historic wreck, ending a mystery that has endured for over a century. Australia, like other commonwealth countries, joined Great Britain in the war against Germany and Austria-Hungary on August 4, 1914. Six weeks later, on September 14, the HMAS AE1 was on patrol off the New Guinean island of East New Britain when it went missing, going down with 35 Australian, New Zealand, and British crewmen on board. No distress calls were issued, nor were there any witnesses to the scene. Its final resting place, and the cause of the sinking, have remained a mystery since that day. Since the sub went down, there have been no less than 13 private and government-funded hunts for the wreck. But as the Sydney Morning Herald reports, it seems the 13th time’s the charm. The missing submarine was discovered yesterday (December 20) by the Australian Navy and the Dutch-owned Fugro N.V. survey company near the Duke of York Islands. The 180-foot-long (55 meters) sub was found resting under nearly 1,000 feet (300 meters) of water. Incredibly, the latest search for the missing vessel started only last week. A combination of radio scans and up-close inspections by a submersible confirmed the identity of the wreck. 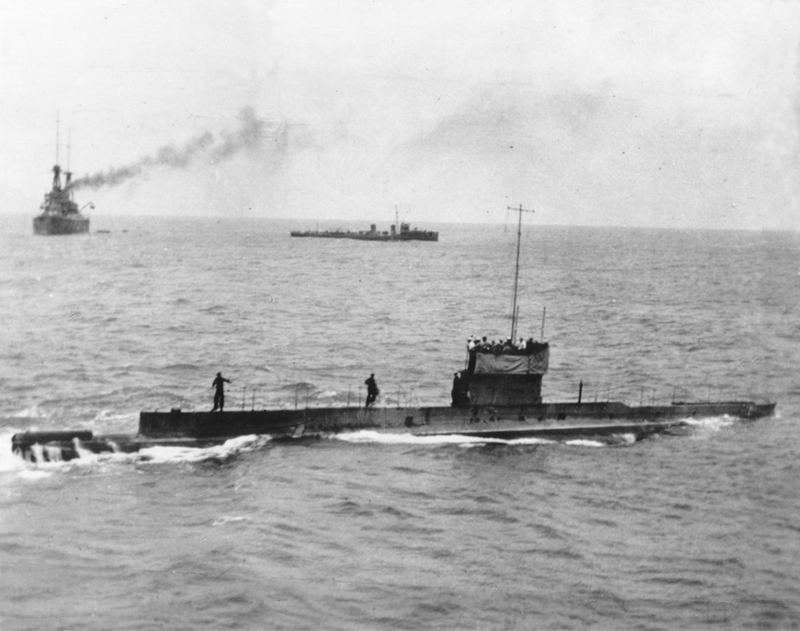 The AE1, along with its sister sub the AE2, were two E-class submarines—the first of their kind for Britain and Australia. According to the Australian Navy, these subs could plunge to a depth of 100 feet (30.5 meters) and travel at maximum speed of 17 mph (28 km/h). In terms of weaponry, these E-class submarines were equipped with four 18-inch torpedo tubes, which were positioned on the ship’s front, rear, and broadsides. Along with the Australian Naval and Military Expeditionary Force, the AE1 was part of an operation to capture German-occupied New Guinea. Commanded by Royal Navy Lieutenant Commander Thomas Besant, the sub participated in actions that eventually led to the capture of New Guinea. As Payne noted, the reason for the sinking is still unknown. It’s highly unlikely that the sub went down as a result of enemy action, as the nearest German vessel at the time was a survey ship. Also, because no oil, wreckage, or bodies were found, it was assumed the sub sank intact—an assumption that proved correct. Radio scans and images taken by a submersible show a remarkably well-preserved submarine. The exact location of the AE1 is being kept secret to prevent any unwanted intrusions. Along with the government of Papua New Guinea, Australia is devising a plan to preserve the site and create a lasting, meaningful commemoration.